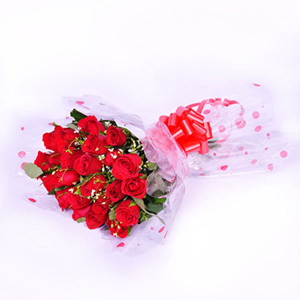 The green fillers in the bouquet are used as per its seasonal or regional factor. The ribbons can be used again in the future. Roses are the most famous flowers in the world. Other famous flowers are tulips, Daffodils and Chrysanthemums, etc. 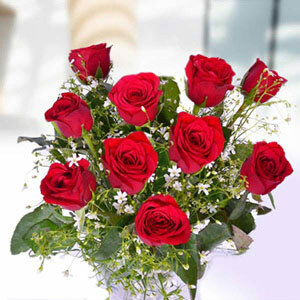 Roses are grown in a variety of colors and each of the colors has a different meaning. The red ones symbolize deep love, yellow ones symbolize friendship, white one represent innocence, etc. 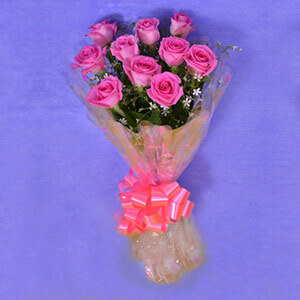 Pretty flowers in beautiful arrangement are a wonderful gift to send as a token of love. 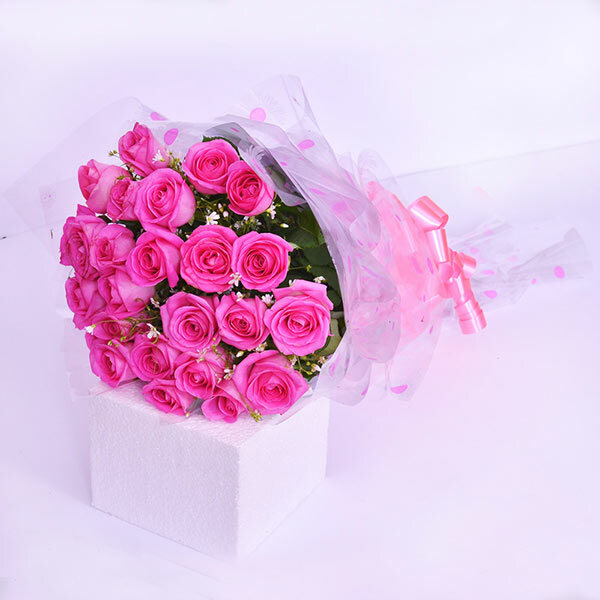 You can send this bouquet of pink roses on any special occasion and be assured that this is sure to bring lots of exuberance and joviality in the celebration. 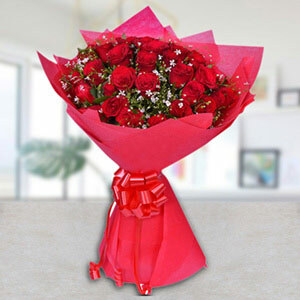 Just order this bouquet now to get this delivered at the location that you want.